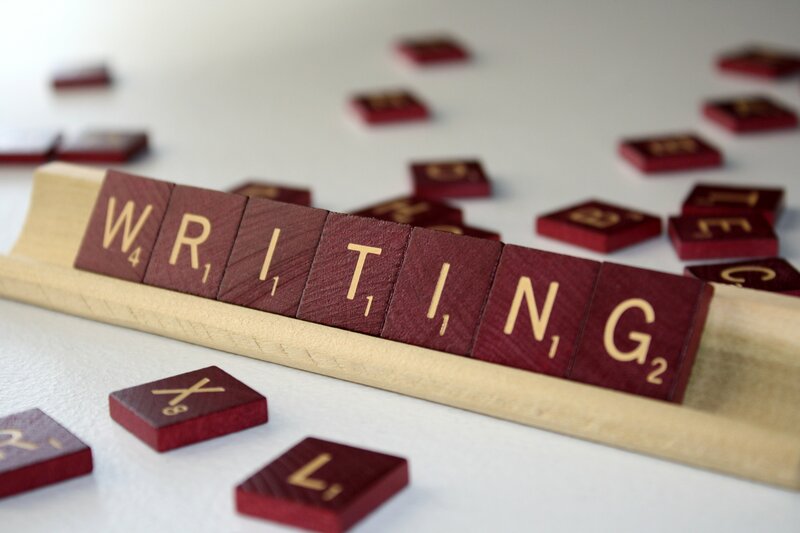 So, I never have time to write about my writing experience. It just never happens and I always regret connecting with those who follow me to share with you what my thoughts are before hand. This time I thought to record it! Check out my rambling here and let me know what you think! Hands down one of my TOP reads of this first quarter of 2015! Just finished it last night and now I’m going crazy, trying to write up my review. I DON’T DO PARANORMAL! I’m a strictly contemporary romance girl…don’t need nothing else! But I ABSOLUTELY need more of Aram!!! I freakin’ LOVE “Haunted”! So pure. So sensual. So timeless. So Aram! And ONLY $.99 for a limited time! OMG!!! Within the bounds of complacency, there exists a boring, beautiful sort of peace, and Khalida has found it. Welcomes it, in fact. A nice, comfortable life, with a great job, a good, albeit on and off again boyfriend, a great relationship with her younger sister… She has nothing to complain about. But that’s only if she ignores the sense of unrest that has haunted her ever since she could remember, overshadowing her ability to connect in love. Only if she glosses over the fact that she’s leaning more toward a permanent off switch when it comes to Travis. Only if she tunes out her way-too-old-for-make-believe younger sister’s sudden insistence that some things are a little suspicious when it comes to the details of their past. A month ago… Everything was fine. 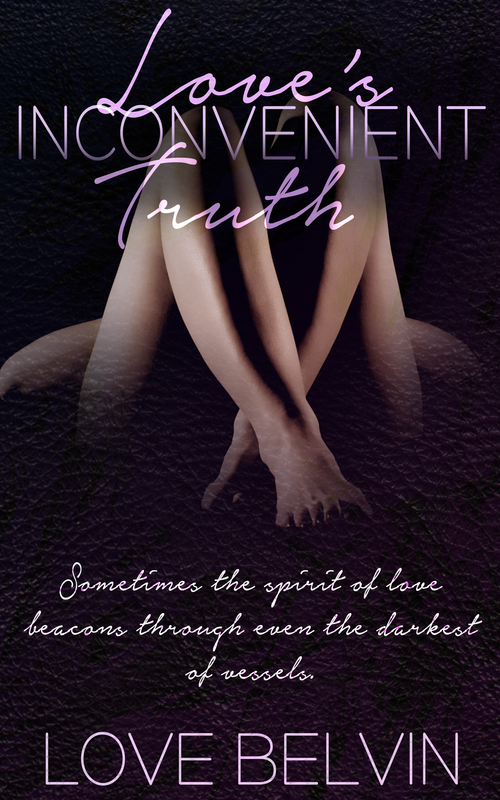 But now — and suspiciously timed with the entry of sexier than possible Aram Duncan into her life — unexplained hallucinations have Khalida questioning if maybe there’s something other-worldly happening around her. But all of that nonsense… Psychic abilities, immortals, time manipulation, mind control…. None of that really exists… Right? “Haunted” is available -> here! 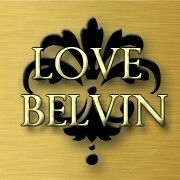 Looking for something to represent one of your favorite Love Belvin & Christina C. Jones #BookBaes? LB & CCJ have you covered! 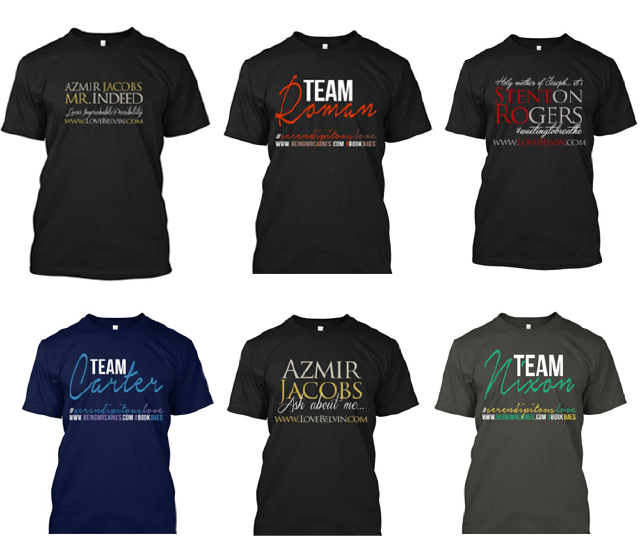 You can get a tee shirt featuring Azmir and Stenton here. And get Roman, Carter, or Nixon of the Serendipitous Love series here! Show them a bit of love! I’m on Polyvore with fashion visuals for L.I.T.! The main character, Elle, is a fashionista and I want to bring her style to life. I’m building Elle’s ensembles there to assist while you read. Follow me here and let me know what you think of her #TeamOverDressed style!